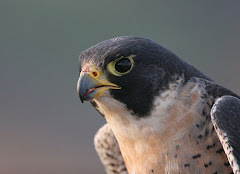 The Falcons have brought in a new radio partner as the flagship of our "network..." WFRO (99.1 FM) in Fremont. This is an attempt to remedy something that has been lacking for a few years. Before we look at anything else, please note this key phrase. Under the terms of the five-year agreement, WFRO Eagle 99 will carry all football and men's basketball games, as well as the live Falcons Nest Coaches Show, which airs on Monday nights from Fricker's in Bowling Green. Key phrase...ALL. We have struggled over the past few years, with some games on the radio, some not, and some on some stations and not on others. Dating back to the great Lima Flagship Experiment, I have contended that you do not convert fans via radio, but that it is important to the loyalty of our existing fans, especially near home base. Simply put, if someone is getting into Falcon basketball, they need to be able to listen to road games on the radio. Yes, I know they are on the web. But, that doesn't work for everyone and doesn't work if you are in your car. And, if you have a desktop computer, it doesn't provide the portability radio does. So I think this is a good thing. It also removes our broadcasting from the sullied clutches of Clear Channel, which was once viewed as our radio savior. So, it is a good thing. Good job to Cal Bowers. According to this release from BGSU, Diryal Briggs (SF) and Antonio Smith (SF) are both UDFAs and will report to NFL camps. Here is the latest list, per the MAC at 1:00 today. It ended up being a pretty good day for the MAC draft wise, with 10 players being picked. That is one less than the conference record, which was 11 in 2005. Obviously, I have already blogged about the ridiculousness of the Michael Mitchell being picked by the Raiders. The only thing worst than getting drafted by Detroit is getting drafted by Oakland. All three of the 7th rounders were surprises. If the Patriots picked Edelman, I suspect they have a plan for using him, and he could well get a role there. The TE from Miami and the corner from WMU---who knows? Nate Davis went in the fifth round, which was not his bottom. In fact, it isn't a bad place to go. Hopefully, he can catch on with the Niners and be a success. He was picked seven places after Omar was, for whatever that is worth. Now that we have the spring game out of the way, it might be a good time to take a step back and look at 2008. I have some new ideas on how you can analyze football and offense, and I'm going to take a look at them below. This doesn't have quite the urgency it had before, because we were always looking to how we were going to improve under the same system. Now that we have a new Coach, things are obviously going to change at least a little. The basic headline is that, for all the bluster about our offensive team and the offensive prowess of our coaching staff and our offensive playmakers, this offense underperformed. In the end, most of the talk about our offense was reputation. Obviously, the key stat is scoring. I ranked the teams in the MAC based on offensive scoring--meaning that I looked at scoring only from the offense, and not the stat the MAC publishes. Bowling Green was sixth in the MAC in scoring. That's the middle of the pack in an average conference. To say it again: our self-image of our offense is not consistent with what we actually accomplished on the field. Based on many measures, the results were even poorer. I think you can make the case that we suffered most of all from a lack of firepower. Our biggest problem was that we just didn't get the yards per play that other teams in our league got. Eighth in the MAC in running yards per play. Tenth in the MAC in yards per passing play. 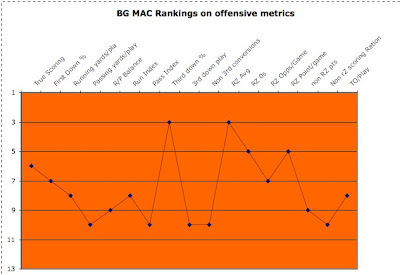 BG and Miami were the only MAC teams to be below the league average in both running and passing yards per play. Even the most anemic offenses like Toledo managed to do one of the two things at an above average level. I know I was really surprised to see this. I hadn't realized it had gotten quite this bad. I think all Falcon fans had a sense this was the case. We were so cautious in our spread, really, since Omar's injury. Our playcalling was just so different than it was under the Meyer and early Brandon regime. And, the key element to the Meyer spread was that as you were dishing the ball around was that you were opening up lanes for big running plays. I read a post on AZZ.com that suggests that a balanced offense doesn't mean that you have the same numbers of running plays as passing plays, but rather that you always maintain the ability to do both, which keeps the defenses off balance. An example would be the deadly draw plays PJ Pope ran when the defense was backpedaling to cover Charles Sharon and Cole Magner. On the other side of the coin, when we played NIU, they would batter us with Garret Wolfe and then go over the top to one of their WRs. That's what balance means. We really had neither. We didn't move the ball well either way, and it caused us to be an average MAC offense. You can see this revealed a number of ways in the stats for the year. One thing I thought was that the single thing that seems to be important for an offense is making first downs. Each play is really designed to help the team get a first down. So, I thought it would be interesting to look and see what percentage of a team's overall plays were first downs. In fact, Bowling Green made first downs on 29.3% of its plays, seventh in the MAC. As a comparison, BSU was 35.3%. We will see later that we were very good on first down, so the only logical conclusion here is that we underperformed on first downs because we were not consistently making yardage with each of our plays. It also seemed to me that really good offensive teams stay out of third down all together. They are making first downs on first and second down. You can measure this too. More than one in five plays BG ran (21.3%) was a third down play. This was 10th in the MAC. Also, counting only our first and second down plays, we made a first down on 24.7% of them, also 10th in the MAC. For comparison purposes, Ball State ran third down plays only 17% of their total plays, and on first and second down, they made first down on 32.6% of their plays, a percentage that is higher than Bowling Green's rates for all plays. So, you can see the trend. On every measure I have just spelled out, we were below the league average and often near the bottom. The question here is, how did we end up 6th in the MAC in scoring? The answer is that for all of the problems above, we did deliver on football's key plays: on third down, and in the red zone. And this was enough to lift us up to the middle of the league in scoring. While the Falcons had more third downs than they probably should have, when they were in that spot, they converted on 46% of them, third in the conference. Looking at the red zone, I don't believe in looking at red zone percentage, because it ranks field goals the same as touchdowns. I like to look at average points per trip, because it incorporates both general success and the need for touchdowns. Bowling Green was good in the red zone. The Falcons scored 4.57 points per red zone trip, which was also 3rd in the conference. Now, we were not as strong in terms of red zone opportunities per game (7th) or red zone points per game (5th), which both reflect back on the offense's overall inability to move the ball effectively. Just two more things. Another test of firepower is how many points your team scored that did not come from within the red zone. Bowling Green was 10th here, too, reflecting an inability to score on big plays, again, something you could clearly observe as well. Finally, there is always the question of turnovers. Bowling Green turned the ball over on 2.6% of its plays, which was seventh in the conference. But I digress. To me, the evidence is clear. The idea that Gregg Brandon was presiding over some kind of offensive juggernaut is debunked. We were average to below average in our own league, and it was a league which did not have a ton of really good offensive players. I look forward to seeing how this might improve. Dave Clawson had some absolutely sick offenses at his previous stops. I'd love to see us climb up into the top of the conference. In 2008, if we had been able to get more yards per play, we would have played for the MAC Championship. Coach Clawson said again that "we're going to run a spread offense," which continues to surprise me for some reason. When he came he started talking about how he was not a "system guy" and blog posts you read make it sound like the offense he tried to install at Tennessee required a nuclear physicist to run it. I suppose there are variations to a spread offense, but I expected us to be in a multiple-set approach. One way or the other, it will be exciting to see. When the Raiders picked Michael Mitchell of OU in the second round, I thought it must be a mistake....like they meant Ohio State or Oklahoma or something. No, it was Ohio U. I thought, hmm, I thought I looked for draft-worthy MAC players, and I must have missed him. So, I looked him up in the ESPN database. There was no actual information. ESPN said the same thing...no highlights. Not even a 40 time. He wasn't at the combine. The ESPN gang then began to jump on this like nobody's business. Mel Kiper said the Raiders could have waited "at least" until the fifth round to get Mitchell. There was an implication that they could have gotten him as a UDFA. Tom Jackson began to joke that Mitchell was out with his buddies shooting baskets, and someone comes to the door and says "Michael! The Raiders are on the phone." Wow. So, if you are a Lions fan, you can at least be grateful you don't root for the Raiders. I hope he turns into a good player. But picking him in the second round? I looked him up on ESPN's databae. Well, the results are in. Our team battled to a 9-9 tie in the lid-lifter at People's Park. There shouldn't be ties in baseball, except in Communist China and parts of rural Quebec. But we had one. Rules are rules. Anyhoo, catching up on the news from the Spring Game. Coach Clawson was pitting the offense against the defense, which I think it smart, because it is a natural rivalry that already exists everyday around a football team. There was a complicated scoring system. You'd expect the offense to win based on who is back, and they did. The defense did score the first 15 points, but then the offense scored 66-32 from then on and pick up the win. The real thing you look for here is little clues. The results are hard to gauge, because it is hard to know if the offense was good or the defense bad, vice versa, combination, etc. So, with that in mind, based on reports, here are some clues. Ray Hutson (WR) had four catches and was a big offensive playmaker. This is an important player for us, and he has been lurking as a potentially very productive player. With Partridge graduating, having Hutson be able to book end Freddie Barnes in our offense (whatever form it takes) will be huge. Steven Dunlap had 100 yards as a RB. 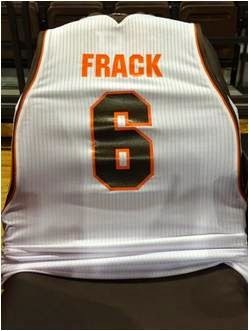 Don't know what to make of him, you can't even click on his name on the roster on bgsufalcons.com. Bullock was productive. Geter less so. As the scheme changes, I have a hunch Bullock will find things more to his liking. Sheehan and Beam both had good games, though there were four sacks. The offense did take care of the ball, committing only one turnover (A Pankratz INT). We had a lot fewer QB runs then we saw in the past. Derek Brighton also had a big catch early. There may have been some defensive players who stood out too, but I don't know who they were. Oh Happy Day, it is Spring Game day in Bowling Green. Savor it, Falcon fans. It is the last piece of football or basketball you will get until we take the field against Troy in August. I won't be there. I am coaching my son's baseball team, and our opener is today, and, you know, I love my Falcons, but its not like its a real game that counts or anything. I will collect the comments from people who ARE there, and post them here. It would be great to be back in the Doyt again. Here's hoping everybody stays healthy and leaves the momentum to carry them through to the start of the regular season. Maybe it should have raised other concerns. DJ seems to have landed on his feet, with playing time on the Spartan line at MSU. Two Falcon hoopsters were named Academic All-MAC: Joe Jakubowski and Marc Larson. Congrats to both of them. They are excelling as true student athletes. Jakubowski, as you will recall, actually decided to attend Rice, where the basketball players have to do their own homework. (Easy..that's a joke). He is getting a 3.5 at BG in business. And Marc Larson is getting a 3.96 or some sick thing like that in engineering technology. All in all, much to be proud of. The NFL draft is coming up Sunday (have you heard? If you haven't, then you haven't had talk radio on!). I wanted to take a quick second and look at what the prospects are for MAC players. Compared to the days of yore, when offensive players dotted the horizon, here you will find (with one notable exception) lineman and defensive players. Nothing wrong with that, of course. Just interesting. Anyway, there are two players who stand apart from the rest of the MAC in draft-ability. Larry English, DE from NIU. He is the 6th ranked DE in the draft, and might well be the first MAC player taken. A recent Scouts Inc mock draft on ESPN.com has him as the first pick in the second round, consigning him to the Detroit Lions, where he would at least play for a coach with a defensive mindset. And get playing time right away. If you know what I mean. English gets (and deserves) good marks for all parts of his play, including a solid academics and being a two-time winner of the Vern Smith award. Louis Delmas of WMU is actually the top-ranked safety in the draft according to some observers, and in the same mock draft went in the 2nd round (11th pick) to the San Francisco 49ers. The primary difference is that teams don't use high draft picks on safeties. I'm not sure why. Anyway, other than being a little small, he seems like he has the potential to have a pretty good MAC career. He was all-MAC three times. Beyond those two, we bump up against the real issue of the draft from a MAC perspective....what will happen with Nate Davis? This has been the source of debate over at Overthepylon.com, a Ball State blog. It is familar to Falcon fans, because it sort of feels like what happened to Omar Jacobs when he came out...an inexorable fall from the start to the finish. He did not help himself with turnovers in the MAC Championship and the GMAC Bowl. Beyond that, the NFL execs, who are not exactly Rhodes Scholars themselves, have moved on to wondering about his dyslexia and overall ability to grasp an NFL playbook. Of course, they have done so through anonymous comments. A player like Davis is in a real trap. Like Jacobs, he probably understood coming out from a MAC school is a risk. However, if he stays in school and ONLY duplicates what he did in 2008, then he begins to look like he might have topped out. The only way coming back helps him is if he can increase his production significantly beyond his junior year, and there are only so many passes a player is going to be able to complete. The mock draft has him going in the 6th round to Buffalo (the 6th QB drafted). That is a low enough pick that a roster slot is not guaranteed, and he will probably go to camp fighting for a spot. It is certainly too bad, he was a special player in the MAC. I hope he gets his shot and proves everyone wrong. TJ Lang, an OT from EMU is pretty high ranked and could be an early second day pick. (EMU has more NFL draft picks per win than any other team I have seen). In a very similar position is Augustus Parrish, an OT from Kent State. He is an early second day pick. Robert Brewster, also an OT but from Ball State, is also projected to be a late pick. Terrence Knighton, NT from Temple could be a late pick. Chris Miller, P, Ball State, is one of the top five punters and a decent bet to make the NFL. He probably won't be drafted but that's only because they don't really use draft picks on punters. Drew Willy, QB, Buffalo. I never thought he was even close to an NFL QB, but he does get mentioned occasionally. Again, obviously heavy on defense and lineman. This is (I would guess, no actual facts here) typical of MAC drafts the last few years. The BG News is doing a great job covering Spring Practice, and they have another update in the paper today. You can read it for the full coverage, but a couple things I note. Coach Clawson talks about depth on the O-line, but our right side of the line consists of pretty unproven talent. I don't see Chip Robinson starting, which I thought we would. According to a follow up with News reporter Andrew Harner, he is practicing with the second team. We still only show one RB in the starting offensive set. The D-line features Darius Smith at End, and he has not played much. The remainder of the line does have some familiar names. Starting DB Marques Quiles was redshirted last year, so he has not appeared in a game at all. Starting LB James Schneider didn't play a whole lot at BG, but he is a junior college transfer. Now, this doesn't mean these guys can't play. Experience tells you not to expect too much, but sometimes experience is wrong. Finally, check out Coach's Clawson thoughts about Robert Lorenzi's upcoming one game suspension for the credit card fiasco. This was the first class the Coach Brandon signed after the first class, widely regarded as a wash out because that was the class that found Urban half in and half out. With that in mind, let's look. Below is the classification system I developed. First, this is a pretty good class. It yielded two really good players (Briggs and Partridge) and 7 good players who were consistent starters for our team. Out of the 18 players, 12 contributed, which I think stands up pretty well over time. (I haven't looked ahead but I suspect Brandon IV and V will have some pretty high attrition rates). For example, when I looked at the class last year, only 12 of 23 players contributed. That class did produce an NFL draftee, but if you compare the stars and starters from one year to the next, you'll find that this class (I think) had more productive players. Anthony Turner was the big star of this class when they came in, with reports of an Iowa offer floating around, and while he did not turn into the QB we hoped (the next QB in the Harris-Jacobs line), he did save the 2007 season with his play at TB. He worked to contribute to the team all the way through the end of his career. And, of course, during their senior year, these players were certainly capable of winning a division, but the team as a whole was unable to close the deal. A happy day every April!! Hey Home/Road Boy....what about football? More MAC Hoops--Did everyone play a slow tempo?